Why’d they leave that one cow? Ain’t it good for meat? I asked my grandfather. That there’s a Judas, a Judas steer, he answered. He explained that a Judas steer (or just “Judas”) is a special member of a herd. The herd usually has one cow or steer that is “trained” or calm enough to lead the rest of the cows into the slaughterhouse without help of human “encouragement.” I can imagine that if I were a cow, I wouldn’t go readily into a building reeking of death. However, if I saw a trusted member of my herd going in first, I might be more easily persuaded. After all of the herd had been led into the slaughterhouse, they would extract the Judas steer and return it to the farm for future use. It is most obviously named after Judas Iscariot, the apostle of Jesus Christ that betrayed the “Son of God” with a simple kiss, revealing Jesus’ identity to the awaiting Roman guards who would arrest him and later crucify him. These cows could easily see the inside of a slaughterhouse up to a dozen times before being killed themselves, unaware which trip in which they would lead their fellow cows to their death would be its last. The “Judas steer” was the one who helped the cowboys lead the other animals to their destruction in the stockyards. The terms dates from the 1800s cattle drives. I hate to say it because it is disparaging of people, but sometimes crowds are like cattle. They don’t like discomfort or something that causes them to be anxious. Cattle will normally resist the unfamiliar unless there is another cow that they trust leading the way. 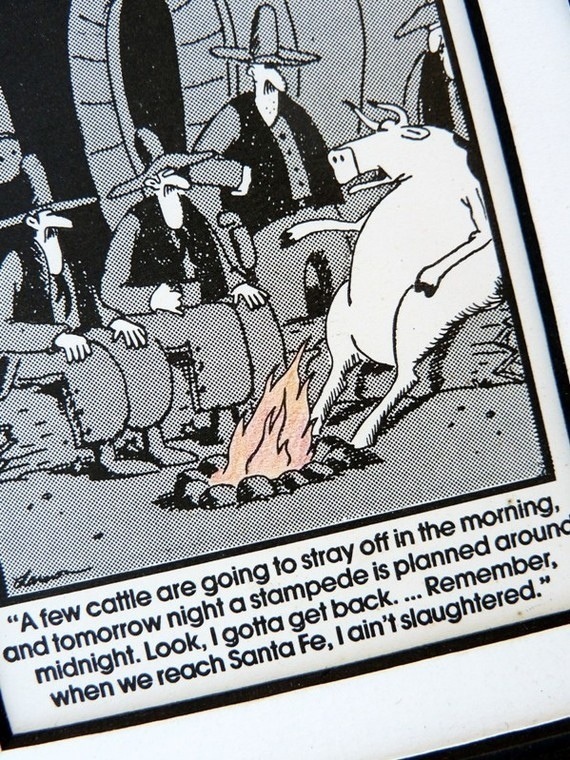 Cowboys driving a herd to the stockyards will always look for the Judas cow. The reason is that that one cow’s leadership is enough to get the cattle to follow. The truth is as men of God we must not follow others to our destruction. We cannot afford to allow others to lead us into places we are uncomfortable. There are several Judas steers around us today. Most of them have no idea they are influencing others to make the wrong choices. They may be young and not realize they are being used by others. It can be people who have motives of moving up in life. That in itself is not an impure motive. We always have to put principals, truth and integrity above our desires. It is hard to pull away from the pack. It is never pleasant to disagree and descent from leadership. Even good people become poor leaders. We can love people but loathe their leadership. No one because they are in leadership deserves blind loyalty. The responsibility of leaders is to give clear, concise and credible leadership. Never allow yourself to feel that you must follow them or their followers to be a Christian. If leaders make you feel that way then they are not godly leaders. You are not an enemy if you disagree and make new paths. But you will be destroyed if you follow the wrong people following the wrong leaders!